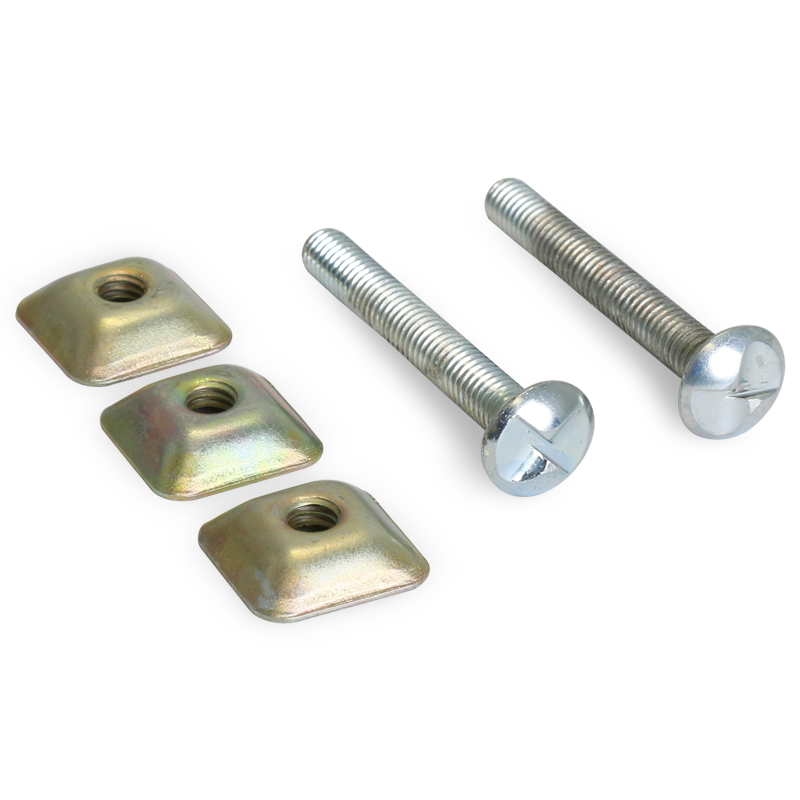 Keep undesired vehicles off your driveway area. 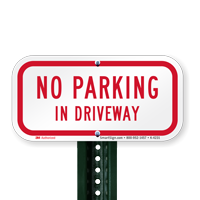 Post our best-selling No Parking on Driveway sign to preserve the look of your property. 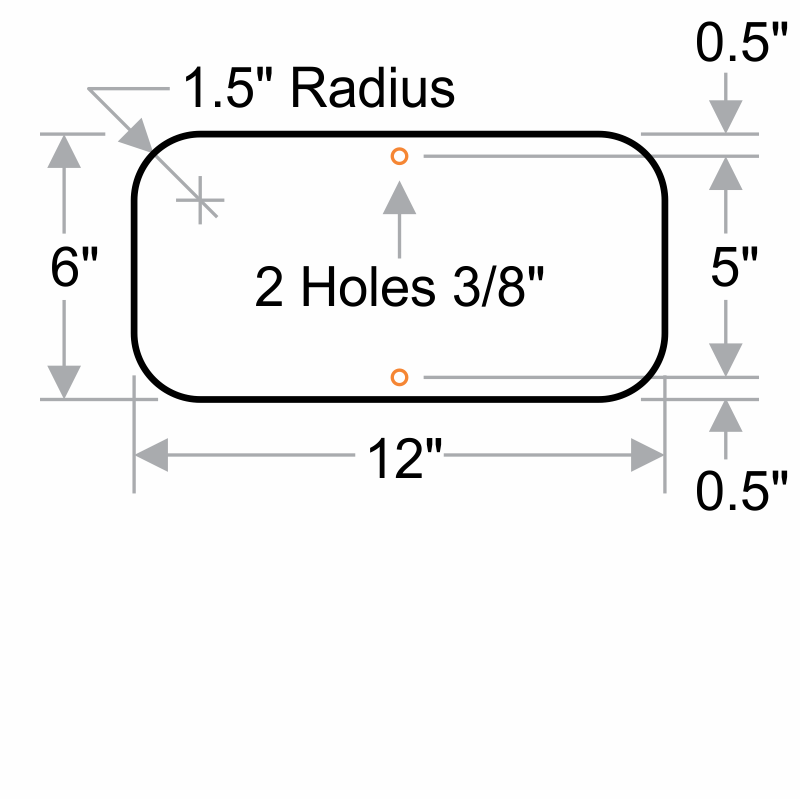 • These best-selling parking signs feature 3M's unparalled engineer-grade reflective film. 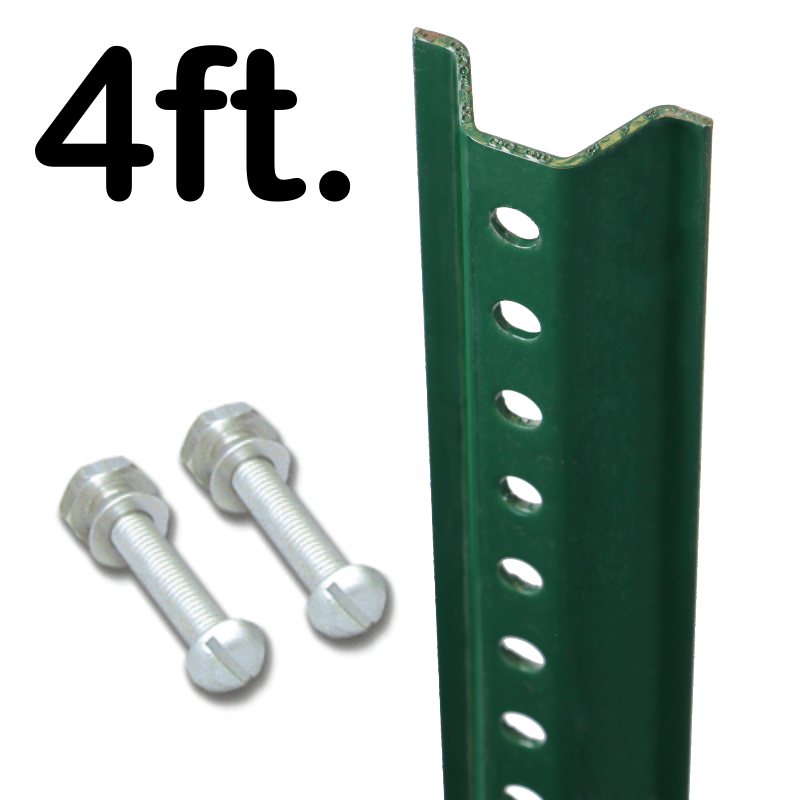 • This high-grade aluminum sign is durable, reflective and will not rust. 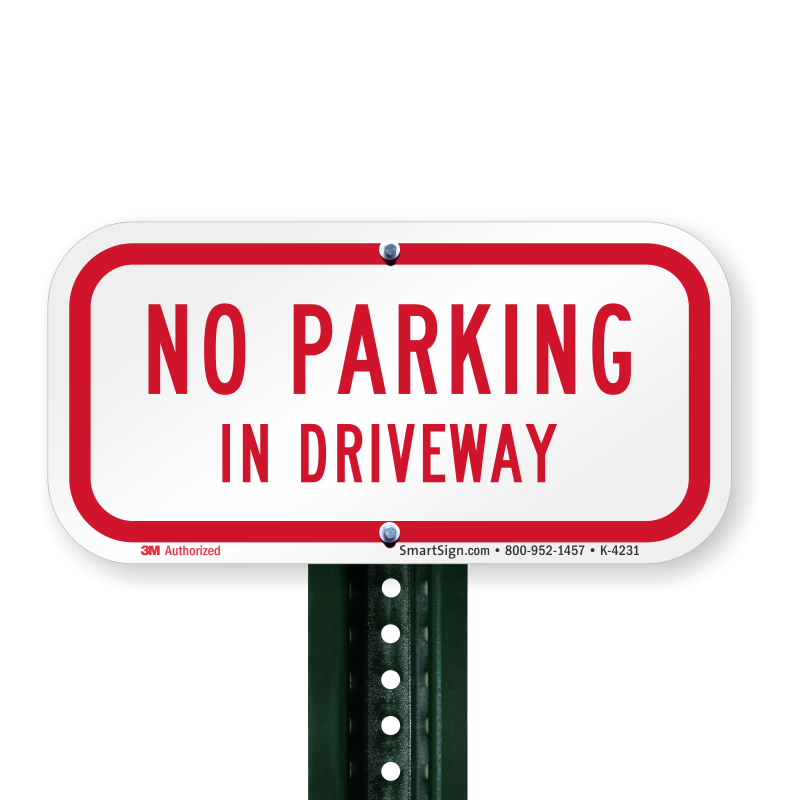 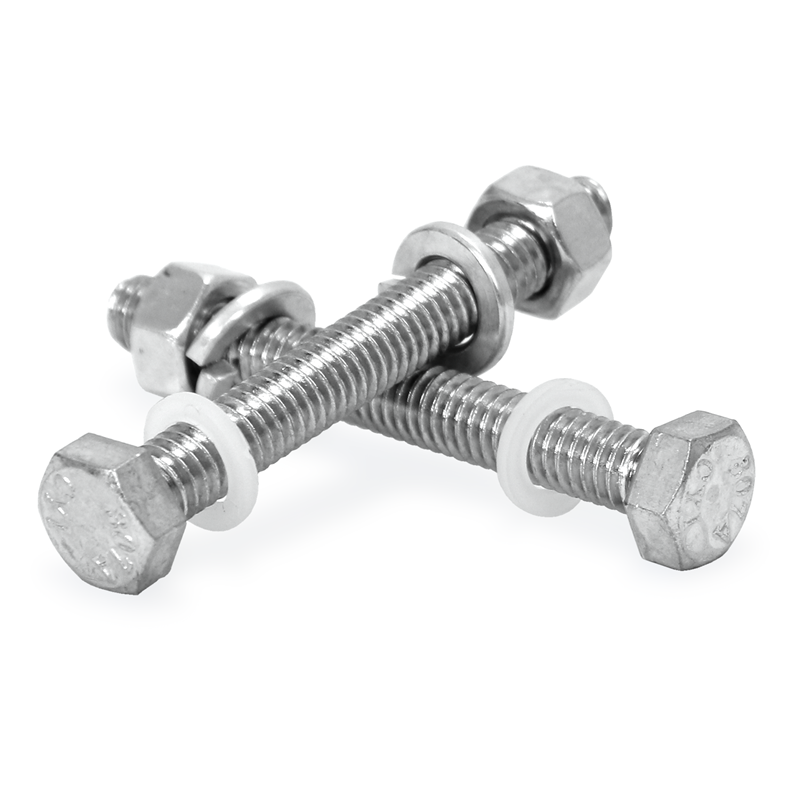 • These smaller No Parking signs have predrilled holes for easy installation onto a posts, fences and other surfaces. 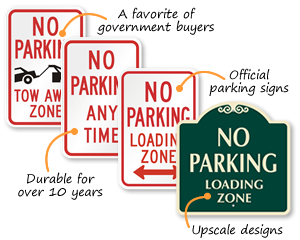 • Specially designed for parking lots and public areas, these parking signs are municipal quality and built to last.